This week I took a trip to one of Dublin’s top climbing centres. Awesome walls to get some much needed adrenaline rushes as I made fatal errors causing my heart to skip a beat and a sense of achievement from completing difficult climbing routes. So what is Awesome Walls? 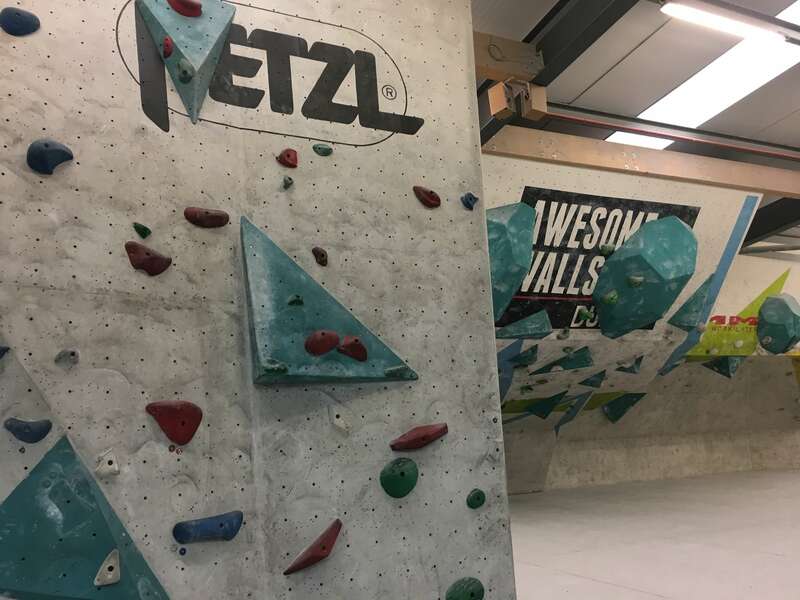 Well I’m glad you asked, Awesome walls is an indoor climbing centre located in the north retail park in Finglas, Dublin. It features a mix of climbing with ropes and some free climbing, primarily known as bouldering. 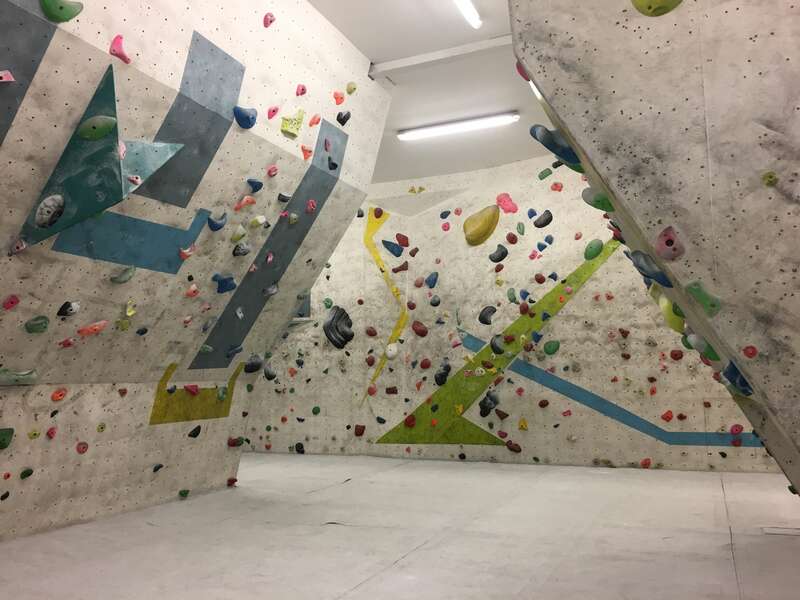 The place offers all types of services for experienced and inexperienced climbers such as: Lessons, equipment rental, memberships, advice as-well as food and drink. Cost wise it’s honestly fantastic, you pay your way in and you can be there from when it opens till when it shuts. Prices range from 9.50-12.50 to climb and an extra 10 euro for equipment rental, comparing this to a cinema ticket and some popcorn, you’re looking at a day of fun and exercise rather then 2 hours in a dark room drinking soda. Which if you think about it, is a lot cheaper then buying your own climbing gear. 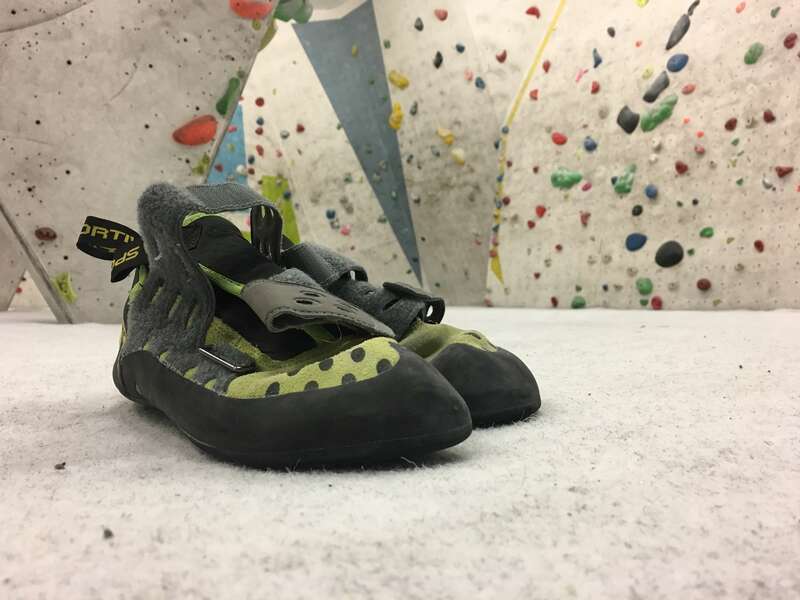 The climbing gear is kept clean and sanitized everyday so don’t worry as most climbers say you shouldn’t wear socks with your climbing shoes but it doesn’t hurt to bring a pair just in-case. So what does climbing entail? Well I primarily do the bouldering. There’s many different routes and grades for climbers to tackle. Starting from 3A – 7B, 3A being the easiest as you work you way up the difficulty ladder. Climbers are some of the friendliest people ever, if you’re stuck on how to complete a route or have any questions the staff and customers in there are always happy to come assist you with anything you may need, its just one big friendly and happy community. After spending a total of 3 hours of intense climbing, falling, climbing and falling again your muscles are burning. It’s a great workout for anyone looking to have abit of fun or doesn’t like the gym. It’s also a great place for a date if you’re the competitive type.